It’s far from perfect, but South Korea’s latest adoption of a regulatory sandbox may provide some relief to the country’s startups, according to the head of one of the largest and oldest startup associations. 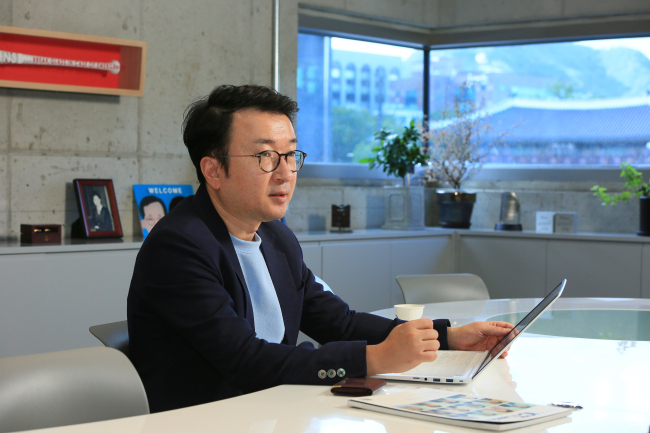 “Urging member companies to utilize the regulatory sandbox is one of our priorities for this year,” Korea Startup Forum chief Choi Sung-jin said during a recent interview with The Korea Herald. KSF is a three-year-old organization that represents 650 startups in the country, having grown from less than 50 companies in its inaugural year. This month, South Korea introduced a regulatory sandbox where innovative firms are allowed pilot authorization. “It is not perfect, but I hope it could be a stepping-stone to transform into a negative regulation system,” he said, adding that tough regulations are still the biggest hurdles for startups here. The negative regulatory system, adopted by countries like the US and China, considers most new businesses and services legal unless they are expressly banned, while the positive regulation system that South Korea goes by lists what’s permitted so that anything not covered is deemed banned. “Now, it depends on how well the government operates the system in the next one to two years,” said Choi, who also serves as an advisor to the Presidential Committee on the Fourth Industrial Revolution. He pointed out that the pace of deregulation lags the speed of progress in the startup ecosystem. In 2018, venture capital investments hit a record high of 3.4 trillion won ($3.04 billion), according to the Ministry of SMEs and Startups, and three unicorns -- startups with a valuation of over $1 billion -- were born. Deregulation, on the other hand, is still slow to happen. Choi said he hopes the startup scene becomes more active and attracts the risk-aversive younger generation who prefer stable jobs like government officials amid the high unemployment rate. The KSF head also raised concerns about falling behind the times. Despite the difficulties Korean startups are going through, the country might hail three to five more unicorns this year as companies such as Market Kurly, Hyper-connect, SoCar and Big Hit Entertainment are rapidly growing, each aiming for the market valuation, he noted.